19 Commercial Real Estate & Properties in Palm Beach are listed in 3 categories. We have 10 OfficesLease , 8 Retail ShopsLease and 1 Medical and Consulting PropertiesLease . Ray White Commercial GC South are pleased to offer for lease shops 4, 5 6 / 1097 Gold Coast Hwy, Palm Beach. This is a rare opportunity for an experienced operator to secure a fully fitted out Bakery or Restaurant/Bar opposite the beach. Shops 4 5 Ground floor Fully fitted out Bakery Internal: 193m2 Exclusive external use: 75m2 Commercial kitchen Bakery Espresso servery Alfresco timber deck with ocean outlook Ready for immediate occupation Shop 6 First floor Fully fitted out Restaurant/Bar Internal: 211m2 Exclusive external use: 136m2 (balcony area) Commercial kitchen Fully equipped bar Liquor license (Commercial other Subsidiary on Premises) Open plan dining Balcony with ocean outlook Male Female amenities Adjacent Council car park Exposed internal trusses and polished timber floors Alternative uses will be considered for each tenancy area. Palm Beach has become a trendy beachside suburb on the Gold Coast, and is only a short drive from Burleigh Heads and Coolangatta, which are world known tourist destinations. 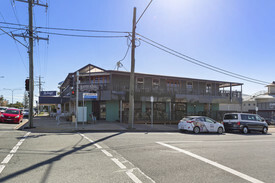 The property is located to the north eastern corner of the Gold Coast Highway and Seventh Avenue and is amongst retailers, businesses, significant residential development and opposite the beach. Please contact Brad Duncalfe 0419 641 058 or Sam Riley 0409 490 581 to discuss this opportunity. approximately All prospective tenants are to make their own enquiries in regards to this license. 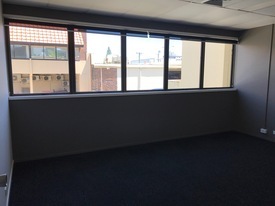 Modern Office Suite - Palm Beach Cbd $2,900 pcm + GST (Include..
High Exposure - Brand New Retail Shop $3,025 pcm + GST (Includi..
High Profile Retail Shop $1,733.33 pcm + Outgoings.. Affordable Retail Space With Street Frontage $3,252 pcm + GST (incl Ou..
146sqm On The Gold Coast Highway $3,295 pcm + Outgoings + ..
Palm Beach Cbd - Medical/retail Tenancy $7,015 pcm + GST (Incl Ou..
Office/medical With Gold Coast Highway Frontage $3,225 pcm + Outgoings + ..
UPMARKET RETAIL SHOP or SHOWROOM. 83 m2 Retail Shop with Al Fresco Potential. Brilliant Opportunity in the burgeoning Palm Beach Market Arguably the Best Available Retail in Palm Beach. Surrounded by Successful Businesses High Passing Traffic Exposure Long Term Lease with Incentives Negotiable Patrol Security and Maintained Facilities Included. Only $42,000 per annum Gross 3 + 3 Year Options. Contact Exclusive Agent. The first floor office suite is configured with 6 plus office/consulting rooms, open plan work areas, board room and meeting rooms. Would suit professional tenant including legal, govt or consulting businesses. FEATURES 228 sqm Private street front access Air conditioned Disabled toilet onsite Kitchenette 2 secure parking spaces. Fully fitted with some office furniture. Networking cabled ready to go PRICE $6670 PCM + Outgoings + GST. Call Towers Francis Property for more information and inspection. This 70sqm office suite would suit professional firms or consultation business looking for well positioned office in the Center of Palm Beach FEATURES: 70sqm Current configuration supports reception area and large separate office. Network cabled 1 secure parking space Air conditioned. Well presented in professional building. PRICE: $2250 PCM + Outs + GST Call Towers Francis Property for inspection. The first floor office suite is configured with 6 plus office/consulting rooms, open plan work areas, board room and meeting rooms. Would suit professional tenant including legal, govt or consulting businesses. FEATURES 228 sqm Private street front access Air conditioned Disabled toilet onsite Kitchenette 2 secure parking spaces. Fully fitted with some office furniture. Networking cabled ready to go. PRICE $6670 PCM + Outgoings + GST. Call Towers Francis Property for Inspection today.